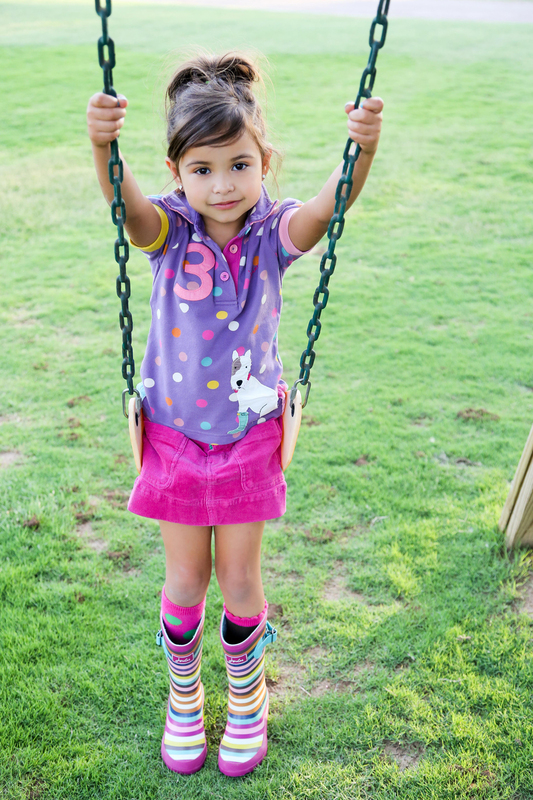 Start this school year in style with fun and colorful Little Joule fall collection! 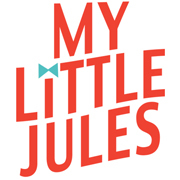 This European kids clothing brand was born in the British countryside and is filled with swank and trend. With easy to wash and easy to wear styles, your girl can express her unique personality and stay comfy at the same time! 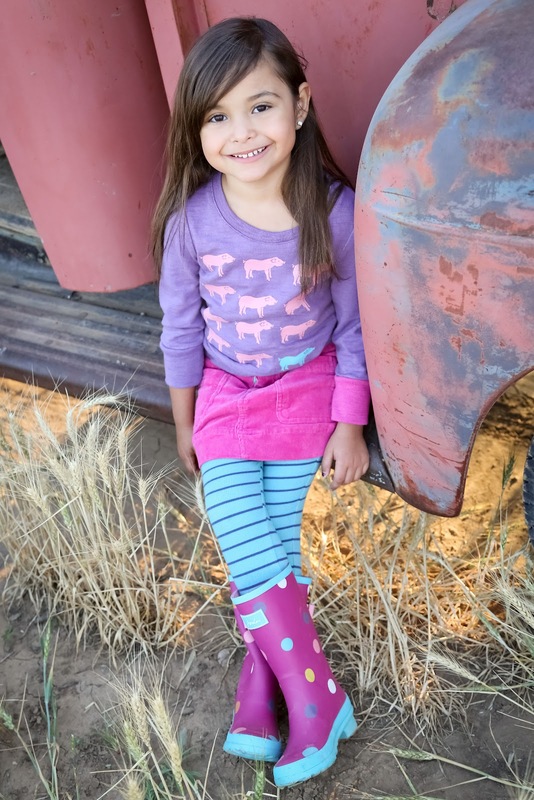 Look closer and you will find fine playful details that kids absolutely love, such as mismatched cuffs, colorful buttons and even built-in squeakers. Dress your girl in Little Joule fall collection and she is sure to stand out at school! 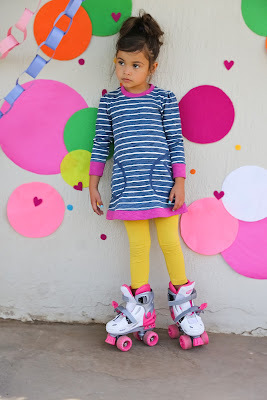 Little Joule fall is so easy to mix and match! 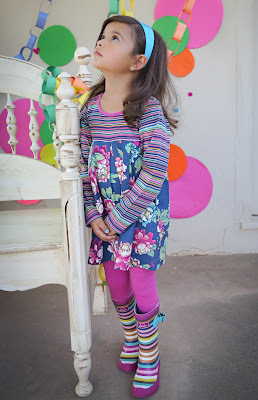 Colorful tops can be worn with any bottom and cute dresses can be "spiced up" with playful leggings. 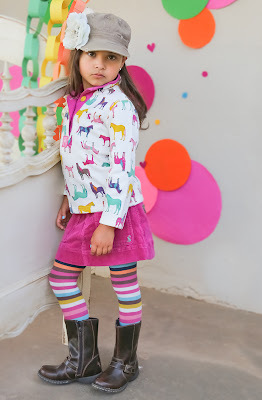 Our little Jules' picks are fun squeaky tops, dotty polo shirt with puppy applique (the puppy is wearing wellies, how cute is that!) 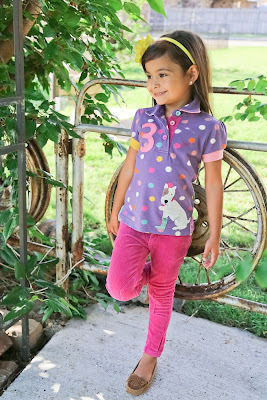 and a pullover with cheery pony print. Match these tops with a pair of comfy Little Joule jeggins to create snazzy everyday outfits or throw on a hot pink cord skirt and colorful leggings for a sassy look. 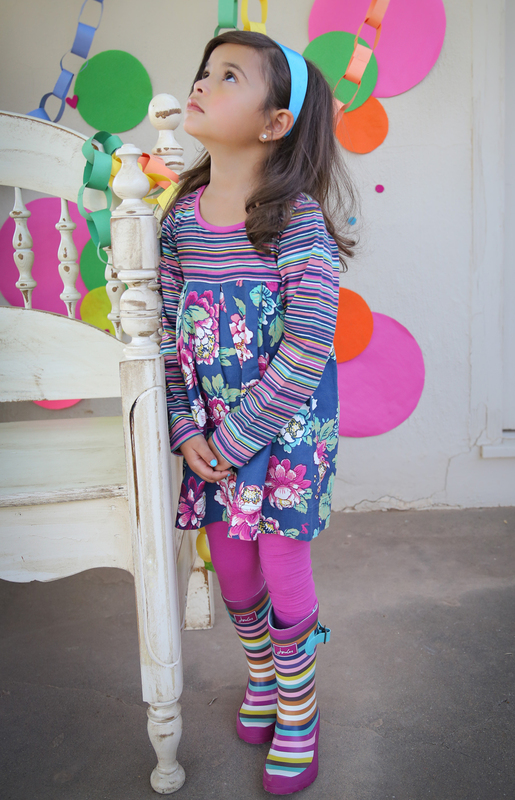 Little Joule fall just screams adorable, don't you think? 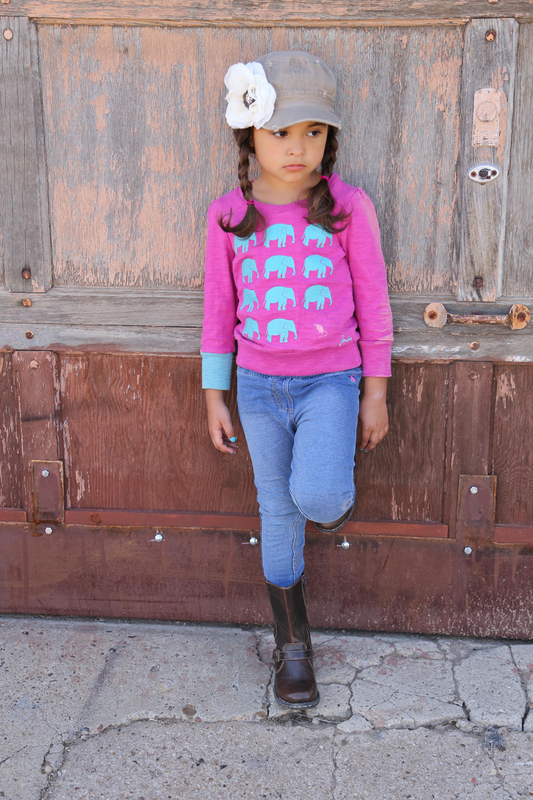 Many Little Joule fall pieces are already in stock and ready to be worn by your little fashionista. The rest of the styles will be arriving very soon. Big THANKS to our photographer Melissa and her daughter for these beautiful images!